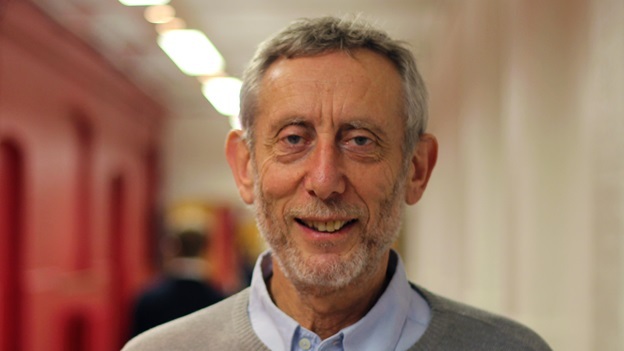 Children&apos;s novelist, poet and performer Michael Rosen speaks about the power of writing, especially the need for creativity in the school curriculum to celebrate the first ever National Writing Day. Introduced by Tim Robertson. Rosen has written 140 books, including We’re Going on a Bear Hunt, Michael Rosen’s Sad Book, written after the sudden death of his son Eddie at the age of eighteen, and This Is Not My Nose: A Memoir of Illness and Recovery. National Writing Day is coordinated by educational charity First Story and involves creative writing activities across the country. To open the event, London school pupils read some of the work they have produced during the day to set the scene for Rosen&apos;s talk.